$6.99 shipping paid upon redemption. Relive your favorite memories each day with your morning coffee, tea, or any hot beverages. The microwave safe photo mug can be placed in a dishwasher for hassle free cleaning. Custom photo mugs can hold up to 11 ounces of liquid. 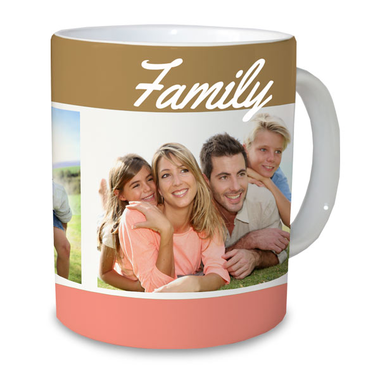 If you have a larger picture that needs the attention it deserves, try our customizing your very own oversized mug! We recommend horizontal photos when customizing your mugs.